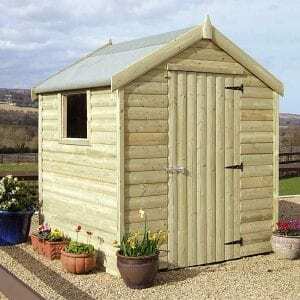 The flat roof on the pent shed is popular for small city gardens as it can be concealed easily in a corner in the garden without much of the roof protruding above the boundary walls and fences. 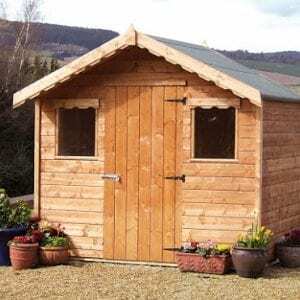 The Pent shed has a traditional gardeners’ shed appearance. 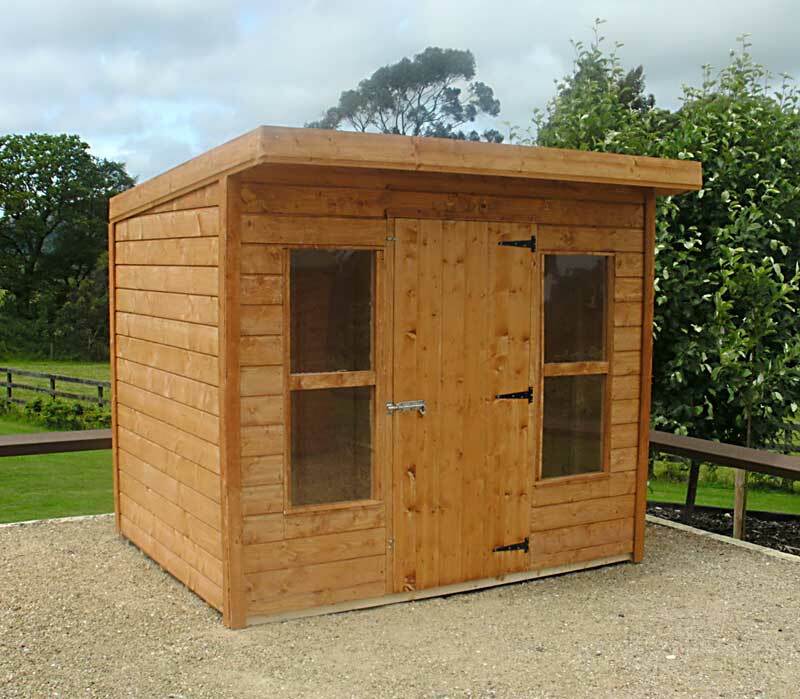 The elongated windows to the front allow more light inside if it is used as a hobby shed or as a potting shed for the garden.